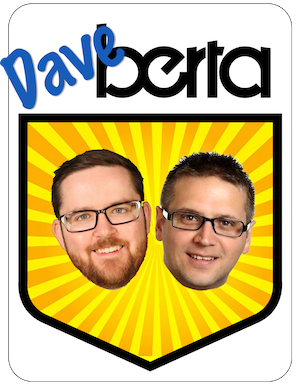 In our most recent episode of The Daveberta Podcast, Ryan and I asked you to help us shape our final episode of 2017 by voting in the Best of Alberta Politics 2017 Survey. More than 300 of you responded to the survey last week with your choices for the biggest political players and defining political issues of 2017. We tallied all the responses from that survey and we are now asking you to vote on the top 3 choices in each category. Voting will be open until 12:00 p.m. on Thursday, December 21, 2017 and we will reveal and discuss the results in the final podcast episode of 2017, which we will be recording on the same day. 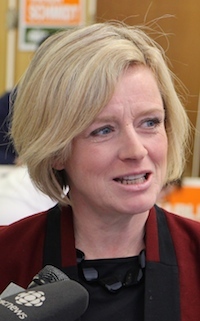 An honourable mention to Sandra Jansen, the NDP MLA for Calgary-North West, who placed a strong fourth in the first round of voting. Honourable mentions to Danielle Larivee, Minister of Children’s Services, and Deron Bilous, Minister of Trade and Economic Development, who placed a strong fourth and fifth in the first round of voting. Honourable mentions to Richard Starke, the Independent PC MLA for Vermilion-Lloydminster, and Brian Jean, the UCP MLA for Fort McMurray-Conklin, who placed a strong fourth and fifth in the first round of voting. 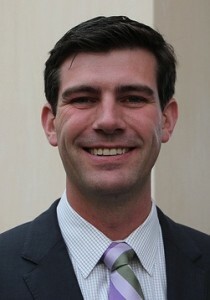 An honourable mention to Brian Malkinson, the NDP MLA for Calgary-Currie, who placed a strong fourth in the first round of voting. In the first round of voting, 59 percent of you chose the creation of the United Conservative Party as the biggest political play of 2017. Because of this was the choice of a clear majority, we have declared this result as the winner in this category. Congrats, UCP. Other notable choices in his category were Premier Rachel Notley’s pipeline tour, Greg Clark’s being forced out of the Alberta Party leadership and the NDP government’s Bill 24: An Act to Support Gay-Straight Alliances in Schools. Photo: Jessica Littlewood, Greg Clark, Shannon Phillips, Nathan Cooper, and Sarah Hoffman. This entry was posted in Alberta Politics and tagged Alberta Liberal Party, Alberta NDP, Alberta Party, Best of Alberta Politics 2017, Brian Jean, Brian Malkinson, Danielle Larivee, David Eggen, David Shepherd, David Swann, Economy and Jobs, Gay-Straight Alliances, Greg Clark, Jason Kenney, Jessica Littlewood, Nathan Cooper, Rachel Notley, Richard Starke, Sandra Jansen, Sarah Hoffman, Shannon Phillips, United Conservative Party on December 17, 2017 by Dave Cournoyer. 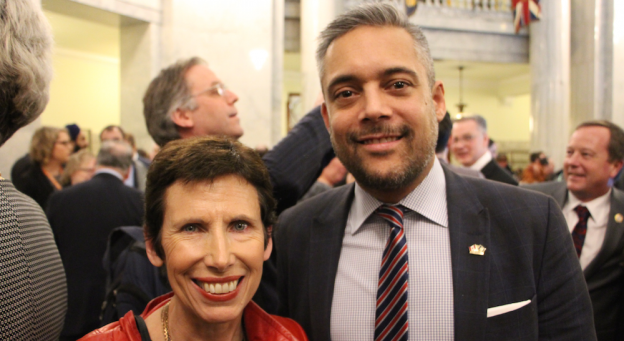 Photo: Liberal Party executive director Gwyneth Midgley and newly elected party leader David Khan (photo from March 2017). Calgary – In a battle of Calgary lawyers, David Khan defeated Kerry Cundal to become the next leader of the Alberta Liberal Party. Khan earned 54 percent of the vote with 897 votes to Cundal’s 765 votes. 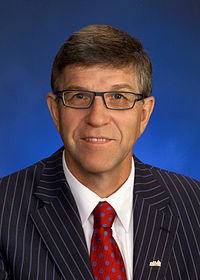 He succeeds interim leader David Swann, who is also the party’s only MLA. 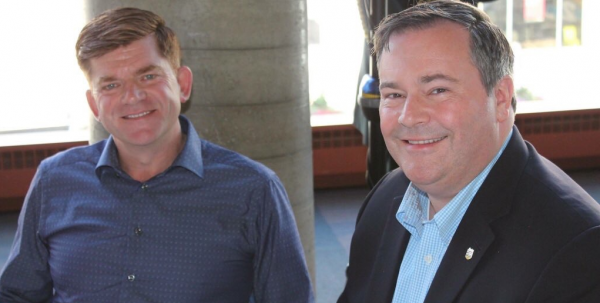 He may also be the first leader of a political party in Alberta who is openly-gay. It would be easy to have forgotten the Liberals were picking a new leader today, as the race did not generate much interest outside of loyal Liberal Party circles. The race was also fraught by a series of resignations. Leadership co-chair Kevin Feehan was appointed as a judge of the Alberta Court of Queen’s Bench in October 2016. And the other leadership co-chair, Nirmala Naidoo, resigned in October 2016 to work on Sandra Jansen’s campaign for the Progressive Conservative leadership (Jansen later withdrew from that race and joined the New Democratic Party). 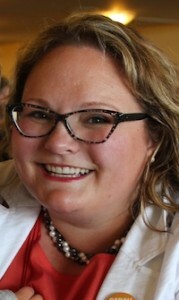 The two candidates both entered the race at almost the last minute after St. Albert mayor Nolan Crouse dropped out days before the nomination deadline in March 2017. It was widely expected until that point that Crouse would be acclaimed. 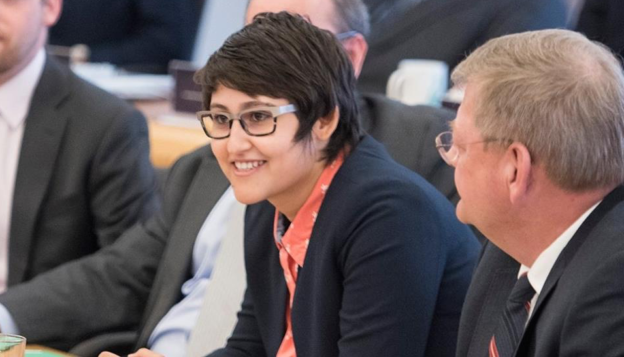 Cundal, a past federal Liberal candidate who was a PC Party member only weeks before she launched her leadership bid, promoted the idea that it was time for the Liberal Party to work with other centrist parties, and maybe even create a new party. Khan ran on a more traditionalist platform of keeping the party name, which appealed to the party’s loyalists. But it is hard to figure out where the Liberal Party fits in today’s provincial political environment. Most of the party’s voter base in Edmonton shifted enmasse to Rachel Notley’s NDP in the 2015 election. 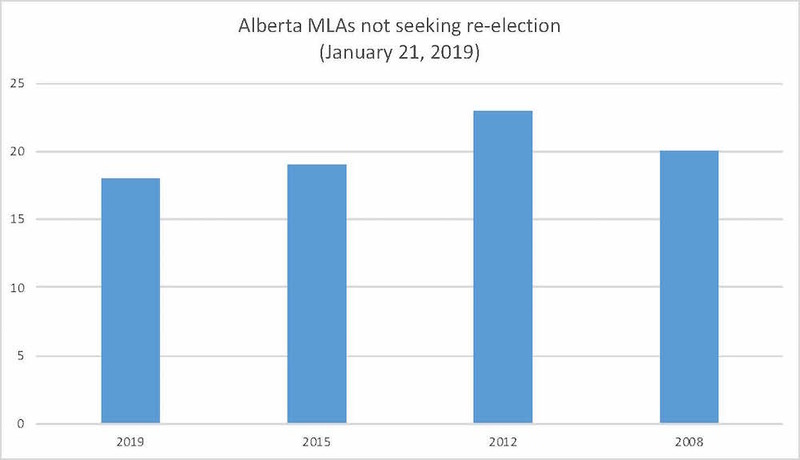 I am not sure why many of those former Liberal voters would abandon the NDP in the next election, especially faced with the alternative of Derek Fildebrandt, Jason Kenney, or Brian Jean becoming the next premier of Alberta. Far from being a party of socialist firebrands like Jeremy Corbyn‘s UK Labour Party, Notley’s NDP are basically governing Alberta as centrist-leftish Liberals. I am sure that Khan will work hard in his new role. As his party’s 2014 candidate in Calgary-West (where he earned 8.5 percent of the vote) and 2015 candidate in Calgary-Buffalo (where he earned 24.6 percent of the vote), Khan already has experience campaigning at a local level. And a local level might be the best place for him to start in his new role. He has a huge challenge ahead of him to rebuild a party that over the past five years has fallen from official opposition to obscurity. Both Khan and Cundal were endorsed by former Senator Nick Taylor, the likeable and quotable stalwart who led the party from 1974 until 1988. As the last person to lead the party through a long-period in the wilderness, Taylor might have some wise advice to share with Khan as he starts his new role as leader of the Alberta Liberal Party. This entry was posted in Alberta Politics and tagged Alberta Liberal Party, Alberta NDP, Brian Jean, David Khan, David Swann, Derek Fildebrandt, Gwyneth Midgley, Jeremy Corbyn, Kerry Cundal, Kevin Feehan, Nick Taylor, Nirmala Naidoo, Nolan Crouse, Rachel Notley, Sandra Jansen, UK Labour Party on June 4, 2017 by Dave Cournoyer. Following Progressive Conservative Party leader Jason Kenney’s comments to the Calgary Postmedia editorial board fifteen days ago when he came out in favour of allowing schools to inform parents when students join a student-initiated Gay-Straight Alliance club, Alberta’s conservative politicians have tied themselves in knots over the issue. Gay-Straight Alliances are student-initiated clubs meant empower students to create safe environments in their own schools, which studies have found may reduce the odds of suicidal thoughts and attempts among both sexual minority and straight students. As I wrote last week, having schools track their involvement in these clubs and informing their parents is not just creepy but could be dangerous. 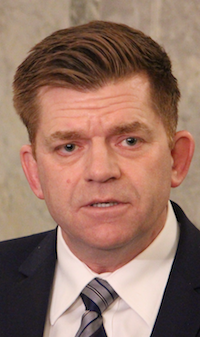 It appeared as if Wildrose Party leader Brian Jean was setting himself apart from Kenney on April 3 by coming out against outing students to their parents, saying that “it’s much like a math club or a prayer club, and I don’t think that would be appropriate (for parents to be told when a child joins).” On April 4, he changed his tune, stating that parents should only sometimes be notified. But by April 5, he switched back to his original position that he did not believe parents should be notified if their child joins a GSA. 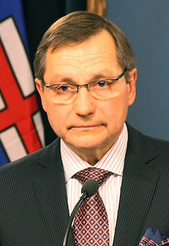 On April 6, Jean appeared to be contradicted by Mark Smith, the Wildrose MLA for Drayton Valley-Devon, who criticized a letter sent to school officials by Education Minister David Eggen reaffirming the NDP government’s belief that parents should not be informed if students join GSAs. The NDP have visibly enjoyed the attention that Kenney and Jean’s comments have generated, on a provincial and even international level. These types of social issues generally play to the strength of the NDP, which is why Kenney desperately tried to pivot his message back to the provincial economy before disappearing from public sight last week. The NDP are trying to frame Kenney as a social conservative – which he is – going back to his days as an anti-abortion activist while enrolled as a student at a Roman Catholic university in San Francisco. A large portion of the membership base of the Wildrose Party is also social conservative, which both Kenney and Jean are courting for support in their bids to lead a new conservative party. Prince appears to be an active member of a conservative education group called Concerned Parents of Medicine Hat School District #76, which is a vocal critic of the NDP and its stance on GSAs. The Concerned Parents group provided “Include Parents” buttons to several Wildrose MLAs who wore them in the Legislative Assembly this week. The group appears to be associated or allied with a province-wide conservative education advocacy group called “Parents For Choice in Education. With conservative politicians stuck on the GSA issue, Premier Rachel Notley’s NDP government has been playing to their strengths, spending the past few weeks announcing lower school fees, school nutrition programs, locations for $25-per day childcare programs, and the construction of new schools, hospitals and affordable housing projects. 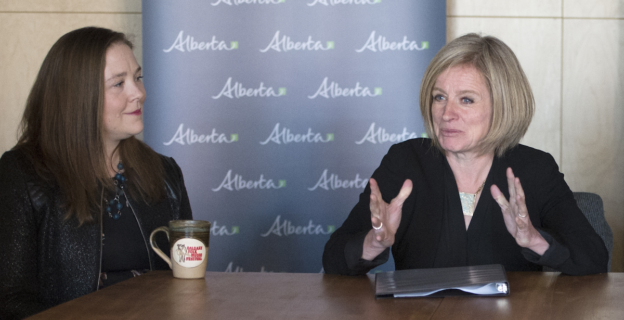 The NDP subtly shifted their messaging over the past few months, focusing on launching new programs and projects that they argue will “make lives better for Albertans,” rather than trying to out-flank the conservatives on economic issues. And it is working remarkably well for the NDP. Meanwhile, despite previous claims by Brian Jean that he has “no interest” in social issues and Jason Kenney’s pledge to create a free-market conservative party, it appears that the only issue galvanizing conservatives over the past two weeks is whether or not to allow the state-sanctioned outing of gay kids. This entry was posted in Alberta Politics and tagged Alberta NDP, Alberta PC Party, Brian Jean, Concerned Parents of Medicine Hat School District #76, Conservative Party of Alberta, David Eggen, Drayton Valley-Devon, Gay-Straight Alliances, Jason Kenney, Mark Smith, Parents for Choice, Rachel Notley, Sandra Jansen, Social Conservatives, Unite the Right in Alberta, United Nations, Wildrose Party on April 11, 2017 by Dave Cournoyer. Does anyone want to lead Alberta’s Liberal Party? The deadline is fast approaching. 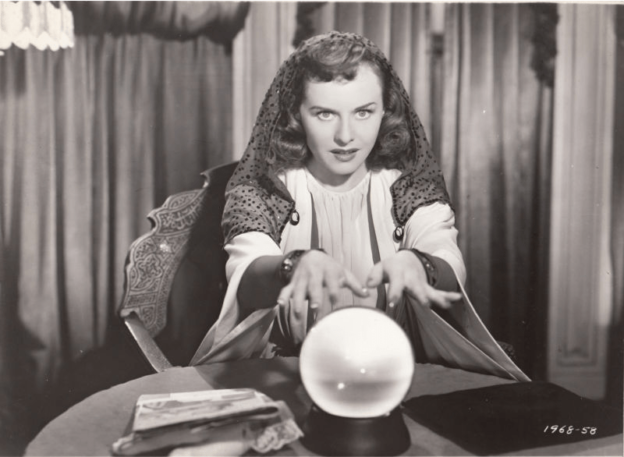 On March 31 at 5:00 p.m. we will know for sure who, if anyone, wants to lead Alberta’s Liberal Party. The race to choose a replacement for the party’s last permanent leader – Raj Sherman, who resigned in January 2015 – has been less than exciting. Until he dropped out of the race yesterday, the candidacy of three-term St. Albert Mayor Nolan Crouse had given the leadership contest some much needed media attention. It also gave the party some hope for its political future. Crouse is a well-known name in the Edmonton-region, which is also where Rachel Notley’s NDP has its strongest support. 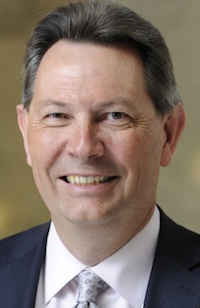 David Swann was the only Liberal to be re-elected in 2015, and that was largely due to his own personal popularity in Calgary-Mountain View. He was the party’s leader from 2008 to 2011 and interim leader since 2015. Crouse’s departure only days before the deadline left the party in a lurch. Party executives scrambled to ensure that they would have at least one candidate, or maybe even two, submit their papers before 5:00 p.m. on March 31. It would be incredibly embarrassing if no one signed up to run. 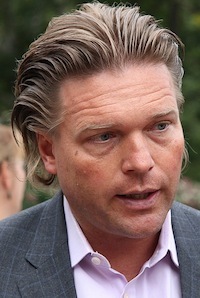 In the wake of Crouse leaving the race, rumours circulated that former Tory MLA Thomas Lukaszuk could become a candidate, but those rumours appear to have dried up. CBC reports that two last-minute candidates are planning to throw their names in the race: Kerry Cundal and David Khan. 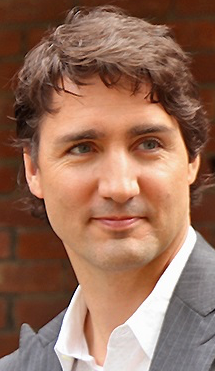 Cundal ran as a federal Liberal candidate in the 2015 election, placing second to Conservative Ron Liepert in Calgary-Signal Hill. She was involved with the Progressive Conservative Party in support of Sandra Jansen’s brief leadership campaign and the “Renew” faction of the party that opposed Jason Kenney’s campaign. Khan is a Calgary-based lawyer who ran as a provincial Liberal candidate in Calgary-West in 2014 and in Calgary-Buffalo in 2015. He was the executive vice-president of the party until recently (his name has been removed from the party website). 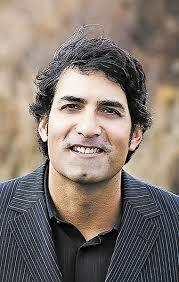 He has also become a frequent political commentator on CBC’s national politics program, Power & Politics. Neither Cundal or Khan have formally announced their plans to run. 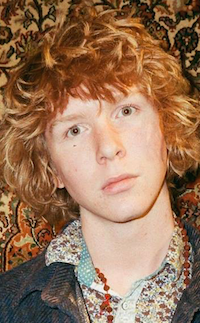 A third potential candidate, University of Calgary student Jacob Huffman, launched a Facebook page announcing his candidacy shortly after Crouse dropped out. 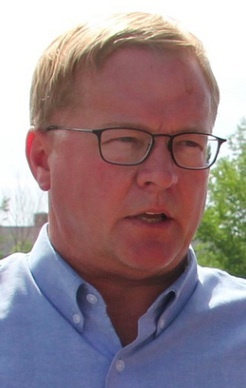 The way this race has progressed it might be hard to tell whether or not his candidacy is serious, but at the rate it is going Huffman might be acclaimed (he’s already planning his victory party). Who will actually run for the leadership of the Alberta Liberal Party? Wait to find out at 5:00 p.m. on March 31, 2017. Photo above: Liberal Party executive director Gwyneth Midgley and David Khan at the reception following the 2017 Speech from the Throne. This entry was posted in Alberta Politics and tagged 2017 Alberta Liberal Leadership Race, David Khan, David Swann, Gwyneth Midgley, Jacob Huffman, Jason Kenney, Kerry Cundal, Nolan Crouse, Power & Politics, Raj Sherman, Sandra Jansen on March 31, 2017 by Dave Cournoyer. Former federal politician Jason Kenney won the leadership of the Progressive Conservative Association of Alberta today, as was widely expected. Kenney received the support of 75 percent of the delegates attending the party’s voting meeting today at the Hyatt in downtown Calgary. His only opponents, Vermilion-Lloydminster MLA Richard Starke and Calgary lawyer Byron Nelson, earned 21 percent and two percent support from the voting delegates. Kenney’s leadership bid was more of a hostile takeover than a traditional leadership campaign. The central point of his platform was his plan to dissolve the 8-MLA PC Party and form a new party with the official opposition Wildrose Party. Kenney has said he plans to meet with Wildrose leader Brian Jean on Monday to further discuss his plans. Over the course of the campaign, Kenney and his legions of social conservative supporters, many who also happen to be card-carrying members of the Wildrose Party, worked tirelessly to marginalize progressive voices in the party. Two leadership candidates, Sandra Jansen and Stephen Khan, said they and their supporters faced threats and bullying by Kenney’s supporters before they dropped out of the race. Jansen later crossed the floor to join the New Democratic Party and Khan endorsed Starke. Kenney’s reputation for being a focused campaigner helped him win an overwhelming number of delegates at the local constituency votes. The lethargic and uninspiring campaigns mounted by his opponents were left in the dust. But even with such a commanding lead, Kenney’s campaign couldn’t stop itself from getting into trouble. His campaign was fined $5,000 for breaking party rules and the party executive was faced with complaints from former MLAs and calls for Kenney to be disqualified from the race. One of his key organizers, Alan Hallman, was expelled from the party and was reportedly charged with assault last night at the convention hotel. Despite all the big talk by party stalwarts about the strength of the progressive-wing of the party, the political moderates just did not show up to vote in this race. The progressives who showed up in droves to vote for Ed Stelmach in 2006 and Alison Redford in 2011 stayed home this time. Or maybe they, like Sandra Jansen, like what they see from Rachel Notley’s NDP government? Alberta Party leader Greg Clark said this week that Kenney-ally Preston Manning is eyeing his party’s name, even going so far as to offer Clark a cabinet spot in a future government. It was only one year ago that the Kenney-front group Alberta Can’t Wait attempted a takeover of the Alberta Party. 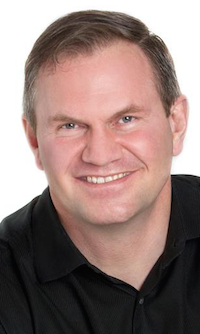 Clark claims that a number of former PC MLAs and activists, including former deputy premier and vocal Kenney critic Thomas Lukaszuk, are in discussions with his party. This may be related to an upcoming “unite the centre” event in Red Deer that former PC MLA and Edmonton mayor Stephen Mandel is said to be behind. Another former PC MLA, Heather Klimchuk, said in an interview on The Broadcast podcast that she is watching St. Albert mayor Nolan Crouse‘s campaign to lead the Liberal Party. What we discovered today is that less than two years after Alberta’s natural governing party lost its first election in 44 years, the PC Party is a shell of its former self and was ripe for a takeover by Wildrose Party supporters. In his victory speech, Kenney confidently told delegates at the PC Party convention that he plans to repeal all the changes made by the NDP when he becomes Premier in 2019. That would mean the repeal of policies unpopular with conservatives, like the carbon tax, the Climate Leadership Plan and new farm safety laws, all introduced by the NDP. If Kenney is true to his word this would also mean that corporate political donations would be reintroduced, small business taxes would be increased, the minimum wage would be lowered, school fees would be increased, the wealthiest Albertans would get tax cuts, and laws protecting sexual minorities from discrimination would be repealed. When Kenney pledged today to repeal all of the changes made by the NDP, he was not talking to the now former progressive-wing of the PC Party. He was talking to the social conservative and rural base of the Wildrose Party. Now that the takeover of the PC Party is complete, Kenney will set his sights on his main challenger for the leadership of a new conservative party, Wildrose leader Brian Jean. This entry was posted in Alberta Politics and tagged 2017 Alberta Progressive Conservative Leadership Race, Alan Hallman, Alberta Can’t Wait, Alberta NDP, Alison Redford, Brian Jean, Byron Nelson, Ed Stelmach, Greg Clark, Jason Kenney, Nolan Crouse, Preston Manning, Rachel Notley, Richard Starke, Sandra Jansen, Stephen Khan, Stephen Mandel, Thomas Lukaszuk on March 18, 2017 by Dave Cournoyer. This call for ideological purity came from Wildrose MLA Derek Fildebrandt in an opinion-editorial published by Postmedia earlier this week. 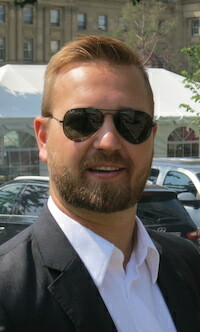 Fildebrandt, who sounds as if he is preparing his own leadership bid, has been a vocal supporter of Jason Kenney’s bid to “unite” the Progressive Conservative Party and the Wildrose Party to form a new consertvative party before the next election. Fildebrandt’s manifesto reads like a call to create a rebranded Wildrose Party without the moderates, centrists and liberals who once found a home in the old PC Party. Driving this ideological agenda, Fildebrandt would undoubtably be a prominent leader in the new Conservative Party, one that a province-builder like Peter Lougheed might not even recognize. Kenney’s hostile takeover of the PC Party appears unstoppable at this time. 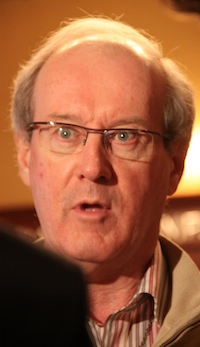 Along with support from former prime minister Stephen Harper, the Manning Centre, and Wildrose Party members, he appears to have secured a majority in the leadership delegate count. Kenney’s supporters have succeeded in driving out a number of high profile political moderates from the party. 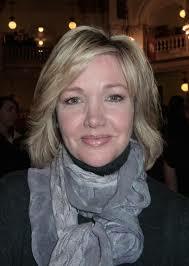 Former cabinet minister Sandra Jansen quit the leadership race after being harassed and threatened with violence. She later joined the NDP and is expected to be appointed to cabinet sometime this year. 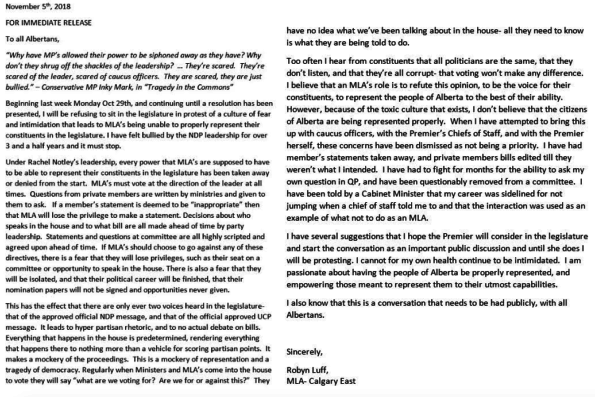 Former MLA Stephen Khan told Postmedia columnist Paula Simons last week that he quit the PC leadership race last week after an ugly race where he was the target of racist and Islamaphobic emails from new party members supporting Kenney. Party president Katherine O’Neill has done an admirable and thankless job trying to lead the PCs through the turbulent period. Under siege from conservative hard-liners and Kenney supporters, O’Neill represents urban, centrist and moderate views that could lead to a PC Party revival. Too bad she is not a candidate for the leadership. One year and eight months after losing the election, the big blue tent that led the PC Party to 44 years of electoral success has collapsed but not folded. The party was ripe for Kenney’s hostile takeover but any plans to dissolve the party will have to address vendor contracts, party constitutional issues, local and provincial board approvals, legalities around fundraising and bank accounts, and fairly strict legal parameters. Despite his campaign to “unite” the two political parties, it is legally impossible to merge political parties in Alberta. All this is occurring at the same time as Rachel Notley’s NDP government looks more moderate and centrist by the day. And with pipeline approvals and some projections of a recovering economy, the NDP might be the sensible option on Albertans’ ballots in 2019. But attacks on the NDP, and on Notley personally, will be harsh. “There is a profound danger that the next election campaign will focus on personality and US style negative, attack politics that is directed at me personally. The danger is that it could allow for an extreme right party to disguise itself as a moderate party by focussing on personality – on me personally. Stelmach was a few years early, but he was right. This entry was posted in Alberta Politics and tagged 2017 Alberta Progressive Conservative Leadership Race, Alberta NDP, Alberta PC Party, David Climenhaga, Derek Fildebrandt, Ed Stelmach, Ideology, Islamaphobia, Jason Kenney, Katherine O'Neill, Paula Simons, Postmedia, Rachel Notley, Racism, Sandra Jansen, Sexism, Stephen Khan, Unite the Right, Wildrose Party on February 2, 2017 by Dave Cournoyer.